I had a zucchini to use up from the csa and came across this recipe. I was intrigued that the whole thing was made in the food processor! The original recipe was made in a 12 cup. I think mine is a 10 cup. And you definitely need a 12 cup. Mine was just small enough that i had to finish it off in my mixer. Luckily I still had some dried cherries from this recipe. It wasn’t quite 2 cups next time I’ll definitely use more cherries! These were really good. I think they could have used more zucchini to make them a little more moist! The crumb topping was delicious!!!! Might have to use this crumb topping on some other things! Process the flour, baking soda, salt and cinnamon in the work bowl for 10 seconds to sift. Add the sugars and the milk to the work bowl and process together for about 5 seconds to combine. Add the oil, eggs, and vanilla through the small feed tube and process until combined. Scrape the work bowl and add the dried cherries and zucchini, pulse to combine (about 3-4 times). Divide batter evenly among the prepared muffin tins. (I like to use my large scoop, it’s the perfect size for muffins!) 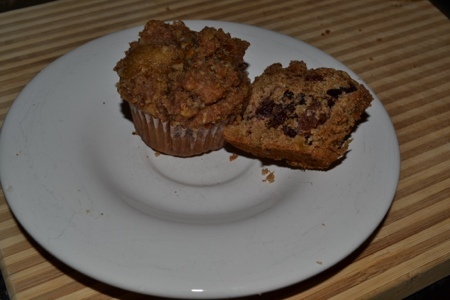 Sprinkle crumb topping evenly on the tops of each muffin. Bake for 16-20 minutes, or until a toothpick comes out clean. i was trying to distract munchkin #2 from being hungry and demanding dinner while his sister was doing homework way before dinner time…. 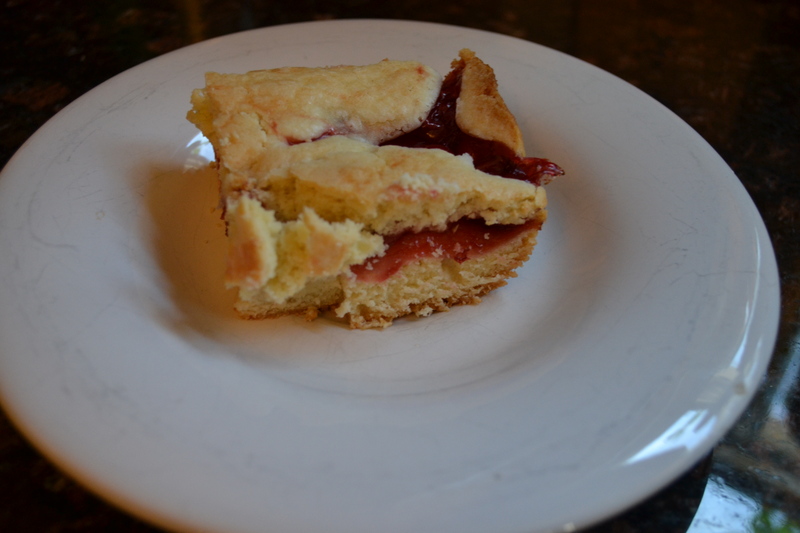 so we decided to bake 🙂 this recipe came together super easy — next time i would use 2 cans of cherry pie filling – otherwise it was delicious! Cream butter and sugar together until very light and fluffy. Add eggs one at a time, then beat in the extract. Gradually mix in the flour until well incorporated. Spread 3/4 of the batter in the bottom of a 9″x13″ pan lined with parchment paper. Scoop cherry pie filling over batter in pan. Bake at 375 for 45 min. Let cool completely before slicing and serving.